On February 7, after the Super Bowl (Feb. 4) and before the Olympic Opening Ceremony in PyeungChang (Feb. 9) sports were on my mind, and the similarities between athletes and musicians. They often have a disparate fan base, but it’s ironic given how similar they are in terms of training, discipline, commitment, teamwork, and dealing with success or failure. I had posted a while back, asking on The New Classical FM Facebook page if people were going to tune in to the Super Bowl, and the responses were vitriolic, with great offense taken that I had even asked. One response that stood out to me was “No. I have a life.” It made me wonder why sports and music enthusiasts won’t consider the commonalities instead of focus on the obvious differences, which lead to this post, “The Parallels between Sports and Music”. I decided to chat with some of our own performers and on-air hosts. 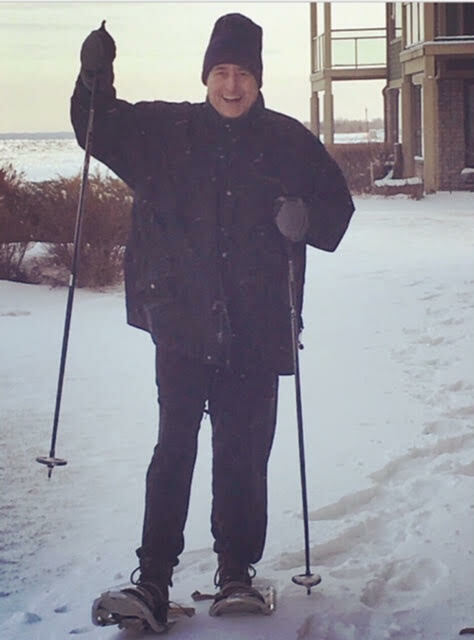 Today, a quick chat with Bill Anderson, avid skier, and host of “Bill’s Classical Jukebox”. Q: What does music bring to a sporting event? A: Sports events are entertainment experiences just like grand operas, symphonic concerts, etc. To entertain an audience, including sports fans, you need to reach them on an emotional level and music can certainly do that. It may not create the emotions that arise when your favourite team is close to victory but it sure can enhance those feelings. Q: Musicians and athletes have to tune out the distractions. How do you do that while on the air? A: No matter what stresses or pressures I might be facing off the air, I leave them at the studio door. Focus is key to a successful performance. After the show I can return to the real world. Q: Bill, you may not be a performer onstage, per se, but you DO perform live for our listeners Monday to Friday, 10 AM to 3 PM. AND I know you’re a serious skier! How do you keep your energy up to be on the air for so many hours a week? A: I’m the furthest thing from a healthy eater – I love my red meat and other supposedly “dangerous” foods. Yet I haven’t missed a show in years. I believe the answer is good sleep habits – nothing gets in the way of my regular slumber time which includes a daily power nap!